So far, the government-led telecommunications operator, Bharat Sanchar Nigam Limited (BSNL) has made great strides for consumers. The telecommunications company has moved forward and launched some incredibly impressive plans and combo offers and has increased its operations to better serve customers. However, the telecommunications company has also taken a small step back by announcing a reduction in the validity of one of its voice-only STVs. It is worth noting that this is not the first time that BSNL has reduced one of its STVs. Before this change, BSNL had reduced the validity of the single-voice Rs 99 prepaid plan for two days. Now, the telecommunications company has also made a change to its Rs 319 STV. Earlier when PSU launched the STV Rs 319, it was used to offer unlimited free calls to BSNL subscribers to any network, except Mumbai and Delhi areas. The plan was a perfect choice for BSNL subscribers who were not hiring any data service or Internet on their phones or were simply using a telephone with benefits currently. Previously, BSNL's Rs 319 plan offered 90 days of validity for its user, but now the plan will offer a validity upto 84 days. In January, BSNL revised another change in its price but which was rejected by customers. The PSU company has increased SIM replacement charges from Rs 10 to Rs 100. This directly was a price change of 10 ten times and as expected, there was a slight disappointment among customers who have not yet changed a new SIM. BSNL previously offered the 4G SIM card subscribers of Rs 19 but it is unknown if the price of the 4G SIM is now available at Rs 100. As mentioned earlier, the prepaid voice plan only Rs 319 suffered the same fate as the prepaid voice plan Rs 99. 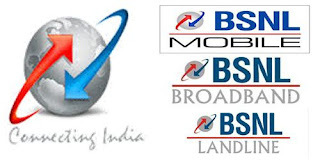 Previously, BSNL used to offer validity for 26 days for Rs 99 prepaid plan, but the period of validity reduced to two days, which reduced the total validity of the 24-day plan. This plan, similar to the Rs 319 plan, offers unlimited call benefits for users to any network, except Mumbai and Delhi.